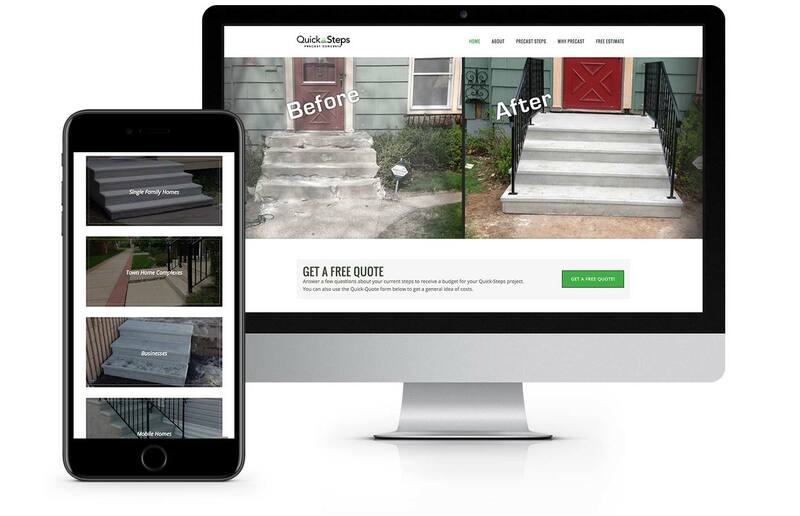 Quick Steps is a company with a simple, unique idea: create small, concrete staircases from molds that can be quickly and easily installed at homes and business. Quick Steps needed a redesign that displayed their before and after photos and gave them a contemporary look and feel. Virtual Monk designed a clean, friendly look for quick-steps.net. Additionally, we created an algorithm-based calculator for users to receive quick quotes based on a number of factors related to their staircase needs.